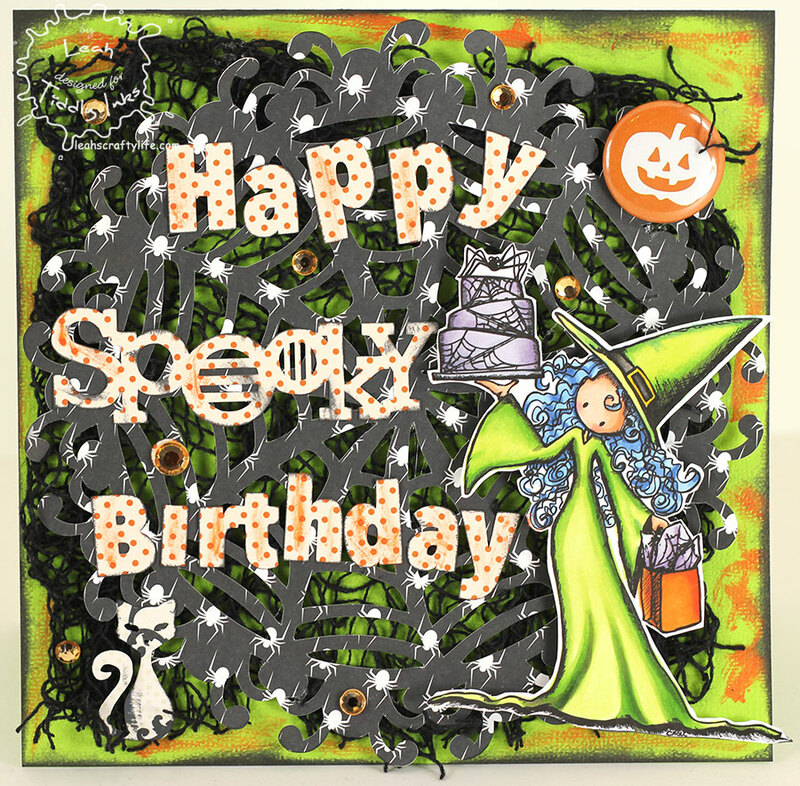 Leah's Crafty Life: Spooky Birthday!! This morning I have a special birthday card to share with you. I adore everything Halloween! So when I got a chance to work with one of Tiddly Inks older stamps, I was tickle and chose Spooky Birthday! Such a cute witch holding a magnificent spookalicious birthday cake! My daughter Katelyn turns 16 in two weeks and I'm 99% sure she will be receiving this card on her Birthday. I printed her out on Copic Xpress It paper and colored her with my Copics. 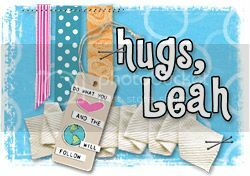 I used My Minds Eye pattern paper and cut the sentiment and spider web out using my Silhouette Cameo. Think she will like it? I hope so! I am linking this up to the Fall Flair at Paper Issues. 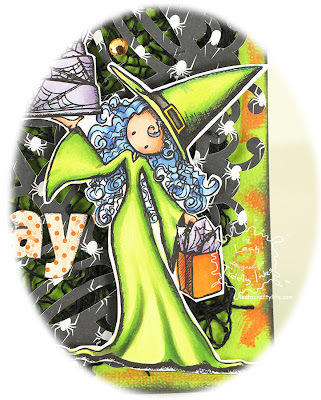 Head over to Tiddly Inks to check out all the fabby stamps!! Oh... and check out the vinyl wall decor I added to the walls last night using my Cameo. Have a spooky fun day! This is stunning Leah. I love the image, your beautiful colouring and such fabulous detailing. Totally wicked birthday card! She will flip! I love your spooky decor too! You are having way too much Halloween fun without me! Ohhhhhhhhh your card is FABULOUS!! I love love love that web, the alphas and that witch is AWESOME!!! And love love loveeeeeeeeee your bats!! Very COOL!!!!!!!! Fab Friday and New Halloween goodies! World Card Making Day! Woot!